Ambiance. Great Food. Buzz. 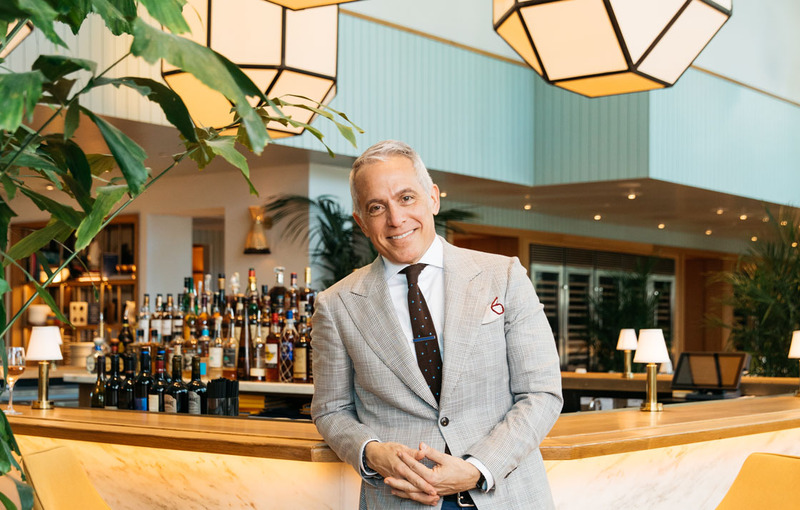 It takes all of those and more to turn a restaurant into a destination, and right now no one is doing it better than Geoffrey Zakarian, the master of modern cooking. 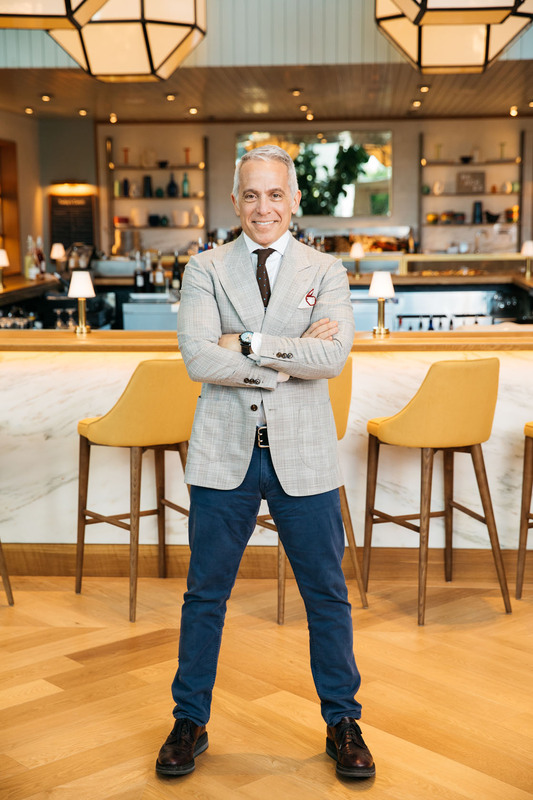 Zakarian graduated from the Culinary Institute of America and quickly moved through various kitchens, ultimately landing as the executive chef at the prestigious 21 Club in New York City. From there he took over the kitchen at “44” at The Royalton Hotel, and started the trend of chic restaurants with good food in hotels. He went on to open his own restaurants, publish cookbooks, create a line of kitchen products, and now can be seen on a number of hit shows on the Food Network, including Chopped and Iron Chef. 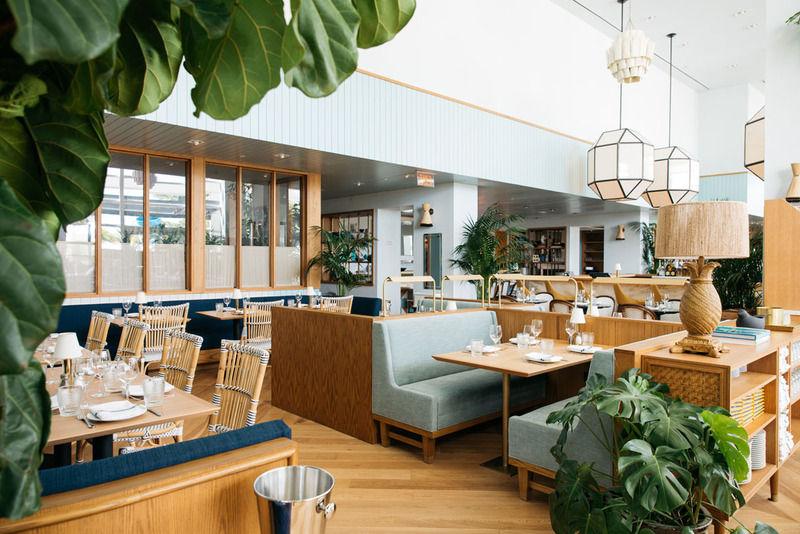 His latest endeavor is the restaurant Point Royal at The Diplomat Beach Resort in Hollywood, FL, which includes an impressive raw bar, along with Counter Point, anchored in the hotel lobby, offering coffee, juices, snacks and light bites all day long. The Overhead Compartment was fortunate to share a meal and pick up a few pointers from the highly talented chef restaurateur, Geoffrey Zakarian. The Overhead Compartment with Geoffrey Zakarian starts now…. OC: You have written two cookbooks and have a new line of kitchen products call Pro for Home. What is the single most important lesson a person should learn to become a better cook? GZ: Well you have to work at it. Practice. Make mistakes and then rinse and repeat. It’s a trade but a trade imbued with passion and the most basic instinct known to mankind. To feed and provide. It’s truly a unique and wonderfully enriching profession. Treat it as such. Make it everyday and taste it every day. OC: You appear on a number of Food Network shows, host Food Talk on Sirius XM, have successful restaurants all over the country and you have a family. What is the secret to staying balanced? GZ: Truly, it’s a myth. Balance that is. I am never in balance. We love, adjust, shift, change, fail, learn. Every single day. It’s never static. OC: You’re described as the master of Modern cooking, what does that description mean to you? GZ: Let’s drop the master. But it means being in the moment, taking risks yet cooking from your soul every day. Changing when you don’t feel it and admitting you made mistakes. Somehow good food usually follows, so call it whatever you want. GZ: Anything for my family and children. But I am a sucker for a big breakfast spread. OC: As the father of three kids, what is the best advice you could give when cooking for children? GZ: Always prep together. Let them see what it takes. The best conversations take place way before eating. GZ: Doha. Dubai. Paris. London. California. Florida. Australia. I am blessed truly. GZ: In Paris. Check in to the Bristol. Head over to Angeline for a chocolate. Stroll the Palais Royal. A quick lunch at Le Grand Véfour. And wander the first and second and finish with a delightful bite at Frenchy followed by a nightcap at the bar at the Bristol. Bon appetit! OC: You were the winner in the fourth season of The Next Iron Chef. What was your favorite part of that experience? GZ: To be a part of that prestigious small group. The honor is overwhelming. GZ: Go to the gym. GZ: Lots of cash. You never know! Geoffrey Zakarian, please use care upon departure as items may have shifted in The Overhead Compartment during our journey. Thanks for choosing us for your travel tips! Have a wonderful day!